Yeah, well, i know a studio used to sound grand. Nowadays it is very well possible to gather the most amazing gear that used to be far too expensive for the average amateur! And with the internet you can look for things all over the world. I must say the internet is invaluable as to get to know what all these marvelous machines can actually do. Here i'd like to make a list of the things i gathered. And maybe more interesting: why. There's no clear cut way of how to go about things. Mostly it's by opportunity. Or by recommendation. Or out of curiosity. Let's just work in chronological order. You might conclude logic fails at some points, but hey! This is music! Not logic.. I've always had an interest in music machines. I've build some basic synthesizers, effects myself. And i used to do a lot of experimentation with old taperecorders and an old mixing panel. Slowly i discovered -in recent years- that a lot of people were actually making music this way. But having no experience in actually making music i knew i had to try hard. And to get things to work with properly. I tried to make music with my old gear and thought up plans for refurbishing all that old gear. But that was just too much of a hassle. So. What to do? I had a look around eBay. 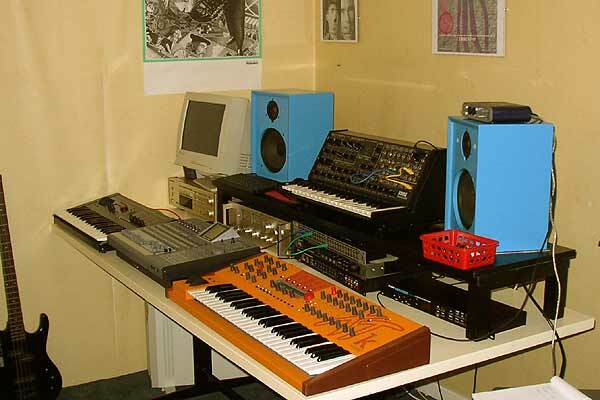 And i found a dealer in Germany who had a lot of second hand gear (that's 'computingmusic'.. highly recommended!) And i saw this Waldorf XTk synthesizer. And it was orange. I like orange. 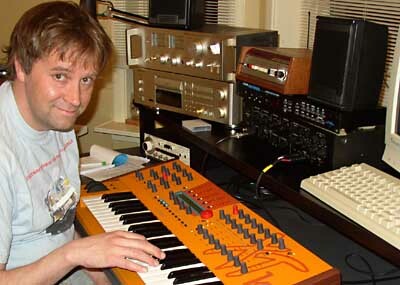 Let's go for an orange synthesizer. How little did i know. And he had a Alesis Midiverb III on offer for a reasonable price. That's an effects box that held everything i'd ever heard of and the other 90% i considered a great bonus. So, there we go! And really, that's were the bug bit me. It's so much fun! Mind you, the Waldorf XTk is a very complex synthesizer to start with. It's got lots and lots of amazing features that are really unique to this machine. It's not supposed to emulate instruments. It's supposed to make all kinds of 'synthy' sounds. I found it to be excellent to try anything from long, soft winding notes to sharp, gritty harsh sounds. And i started to record some basic songs. 'Summer Afternoon' was one of those. A base drone. An organ-like sound added. And some nice summer day outside sounds. That's three different parts, that i recorded by playing what i had and adding to that. Play from a DAT audio recorder what i had and record that with new souds to a PC with a sound card. And back again. And again. And then you think... Hey that first thing i recorded is to soft! Mmm.. No way of doing anything about it, except for doing everything again. And then the organ improvisation is no good; not as good as the first time.. Problem! But there's software for the computer that lets you record multiple tracks, which you can mix (blend) to your liking. And do it again. Or change a track or add one. That worked fine for a couple of tracks, but then i noticed that when i played along with what i had and recorded that, there was a jump in time! It's an effect called latency. Computer is slow in producing sound and again slow in recording the new sound. A delay. Sounded awfull and i completely lost track of the rhythm. I needed a far stronger computer and a far more sofisticated soundcard for that. Adding it all up it was.. wow.. expensive. And then i really hated having to control all those tiny switches and sliders on the monitor. On a mixer you can operate multiple sliders in one go; you have ten fingers! This was no good. So i looked for a modest multi track recorder. Very popular are the ones with an ordinairy compact cassette that can play two and record two tracks. Tascam, Fostex, Akai... So many. Look on eBay. Computingmusic again. Now hey.. There's a Tascam.. With 24 tracks?! All digital? Sliders? Reasonably priced and brand new? Go! Tascam 2488 Portastudio it is.